1. 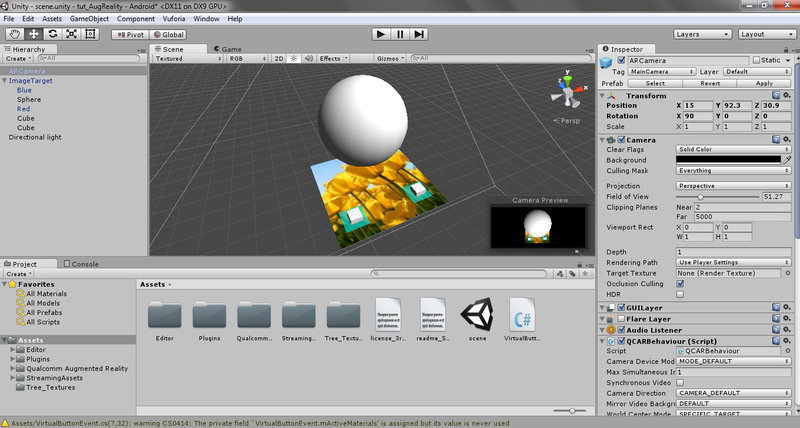 Unity This is the game engine we'll use to create our game. 2. 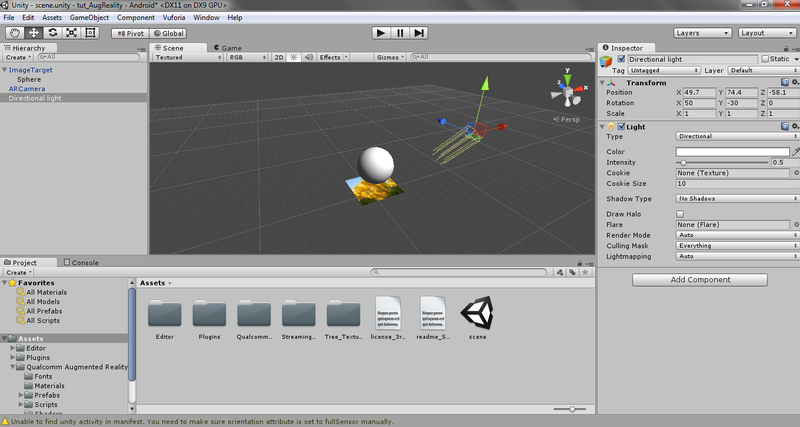 Vuforia Unity Extension This Unity extension provides us with everything we need to create augmented realty applications. Our augmented reality application needs to know when to create our preconfigured 3D scene whenever some specific target comes into our phone cameras view. 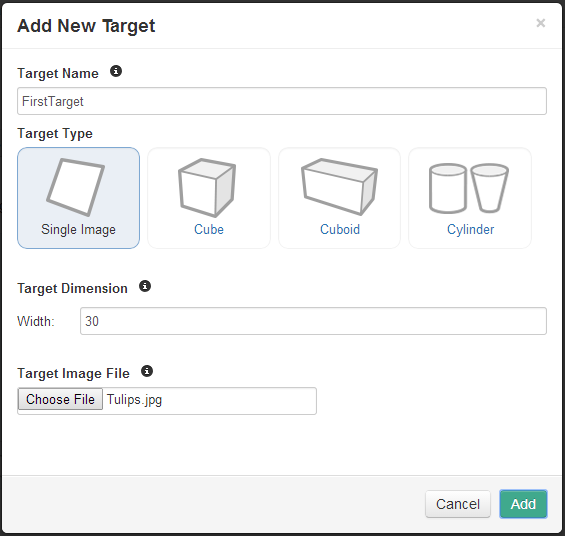 We're going to be creating an image target for this application, but in other tutorials we'll cover 3D targets, text, frame markers, and other targets. You can read more about Vuforia targets here. To create a new target go to this link: https://developer.vuforia.com/target-manager 1. First create a database and name it something, this is where all your targets will be stored. 2. 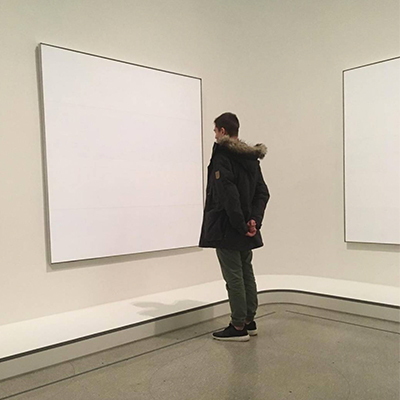 Then, within your database, click Add Target and choose Single Image and select some image from your computer and name it FirstTarget and give it a width of 30 (the image must be equal in its width and height dimensions). I'll be using this image. 3. 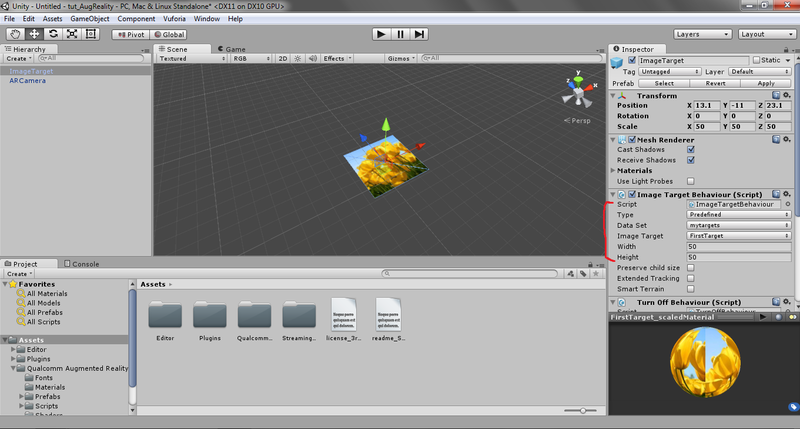 When your image is created, select it and press Download Selected Targets and select Unity Editor and give your Unity package a name. 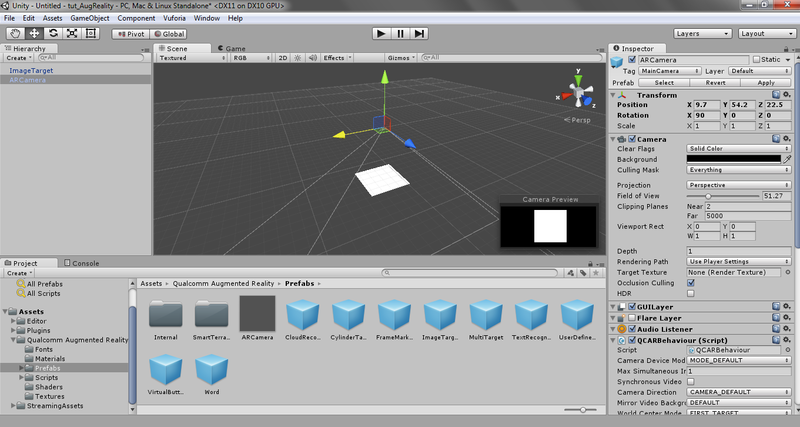 Now go back into Unity and go to Assets > Import Package > Custom Package and select the target pacakge you just downloaded. Then select the ImageTarget in the Hierarchy window and in its Insepector window you should now be able to select your newly created target in the Image Target Behavior Component. Then select the ARCamera in the Hierarchy window and in its Insepector window select Load Data Set and Activate in the Data Set Load Behavior Component. We're now ready to run our application on a mobile device. Click File > Build Settings. 1. Click Android and press Switch Platform. 2. 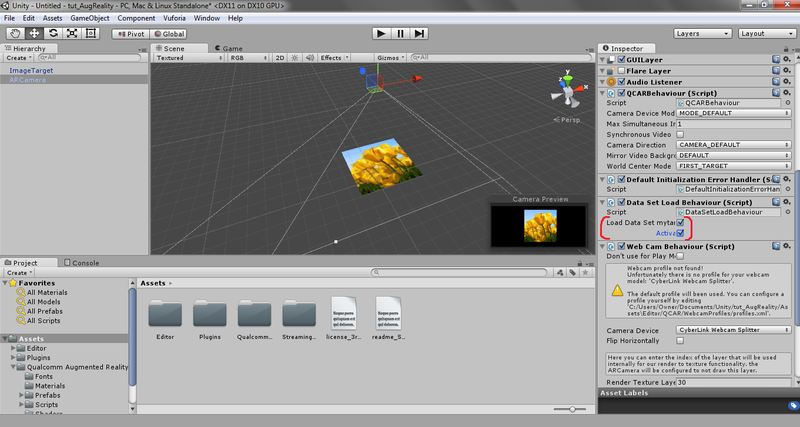 Click the Add Current button to add the current scene. 3. Click the Player Settings button and in Resolution and Presentation > Default Orientation select Auto Rotation. 4. In Other Settings provide your game with a Bundle Identifier such as com.aug.application After building is complete you should have an apk file in your folder that you can run on your device.